Lisa Bielawa’s ‘Neumark’ Dances are based on the hymn tune “Wer nur den lieben Gott” for organ solo. She writes: “ ‘Neumark’ – which I remember as “If thou but suffer God to guide thee” – has the charisma of an oscillation between natural and harmonic minor, along with melodic cells that encourage us to hear contours echoed upside-down. These properties made me feel a combination of yearning and excitement. In this chorale prelude I wanted to accentuate, deepen and explore these properties, and these feelings. I also wanted to find as many canons within the melody as I could, at different speeds, some of them upside-down.” ‘Neumark’ Dances is available through Ganesa Music. 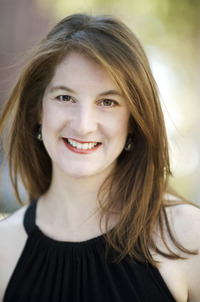 Composer-vocalist Lisa Bielawa is a 2009 Rome Prize winner in Musical Composition. She takes inspiration for her work from literary sources and close artistic collaborations. Born in San Francisco into a musical family, Lisa Bielawa played the violin and piano, sang, and wrote music from early childhood. She moved to New York two weeks after receiving her B.A. in Literature in 1990 from Yale University, and became an active participant in New York musical life. She began touring with the Philip Glass Ensemble in 1992, and has also toured with composers such as John Zorn, Anthony Braxton, and Michael Gordon. 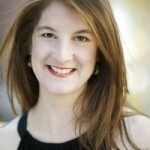 In 1997 she co-founded the MATA Festival, which celebrates the work of young composers. Bielawa was appointed Artistic Director of the acclaimed San Francisco Girls Chorus in 2013 and is an artist-in-residence at Grand Central Art Center in Santa Ana, California.